In this review, we are going to review the Robomow range of robotic lawnmowers and find out if they really do work, in fact, I know they do work as I have used them and installed Robomow for various customers. You can take a look at my video review below if you prefer or both! 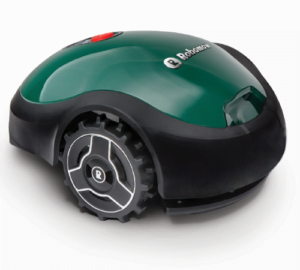 What Is A Robomow Robotic Lawnmower? To put it briefly, a Robomow robotic lawnmower is a lawnmower that will cut your grass automatically, once Robomow is fully set up, it will literally mow your grass with no input from yourself, it can be a huge time-saving machine. The Robomow range of robotic lawnmowers can actually cut your lawn whenever you want it to, you can even cut the grass in the middle of the night! It also has a rain sensor which will send it back to its home, in other words, it’s base station which acts as a charging port. 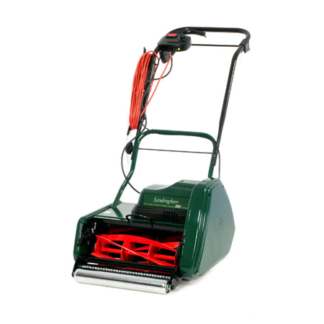 There are various Robomow models starting from £499 and going up to £2799, however, please don’t be put off by the price as these mowers can save you huge amounts of time. The smallest model cuts up to 150 m² and the largest model can cut lawns up to an acre and 1/4 which is really quite incredible, all done robotically! 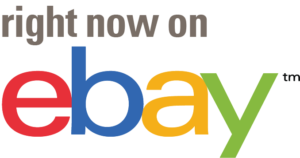 Don’t be put off by the cost of purchasing a Robomow robotic lawnmower and yes, I agree that the top of the range Robomow isn’t cheap, but it’s also good to remember there are many benefits. With Robomow you will never need to spend time cutting your lawn, Robomow does this for you. Once you have installed Robomow the running costs are exceptionally low, there is no petrol or diesel to buy and no real annual costs. 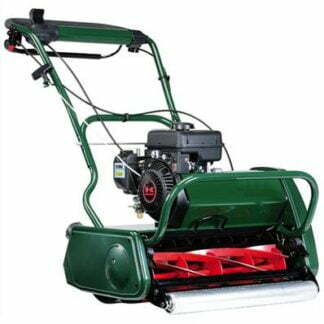 A ride on lawnmower can quite easily cost around £400 a year to run and service. 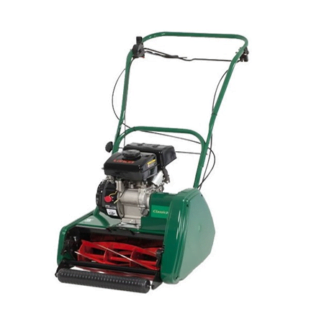 As I mentioned in a previous paragraph Robomow’s are not cheap, especially if you’re buying the top of the range model however ride on lawnmowers and quality walk behind mowers are not cheap either. One of the best things with a robotic lawnmower is that you have not spent half the weekend cutting the grass, Robomow mows for you. 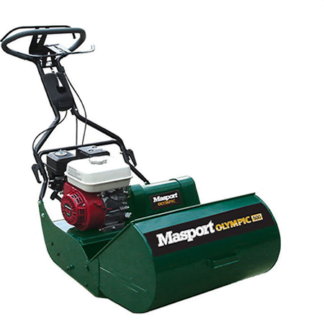 Obviously, the larger machine that you purchase the quicker it will cut your lawn, however, the fact that you are not doing it yourself means that you buy the right machine that fits your size of lawn. The smallest machine will cut up to approximately 150 m² and the largest machine up to around 5000 m² which is absolutely amazing! Apparently, Robomow likes one day off a week, which is a bit like me or preferably two days off a week! There is actually a genuine reason for this and apparently, by resting the batteries for one day a week it helps to give the batteries a much longer life. The great thing is with Robomow is that Robomow can come out and cut the lawn whenever you program it to, so potentially it can cut the lawn every day, although realistically I would set it for 2 to 3 times per week depending on the growing season. It also gives you that continuous fresh manicured look. Robomow is also covered by a three-year manufacturer’s warranty, which obviously means that the manufacturers have confidence in their products. 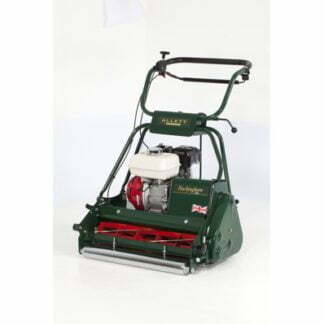 One thing that I would definitely do on an annual basis is to replace the blades as sharp blades make for a better-manicured lawn and they also cut more efficiently, putting less strain on the machine and taking less battery power. Your Robomow will never run out of power, if it’s getting low on power, it will return to the base station, recharge and then once fully charged continue the cutting process. The first time that I used Robomow I was very surprised by the cutting pattern, I imagine it a go around the perimeter of the garden, which it does and then to go up and down. However, once it is gone around the perimeter of the garden it cuts randomly, but at the end of its cycle, all the lawn is perfectly cut. Although the technology on robotic lawnmowers is increasing all the time Robomow it still needs a perimeter wire all around your garden, it is important to take time carrying out the installation process. It may be worth employing a professional to set up your Robomow apparently there is such a service available, it depends how keen and patient you are to confidently set up Robomow. The perimeter wire can be used to mark off flower borders and trees and any other obstacles etc. It’s important to place the perimeter wire in the right place, Robomow comes complete with everything you need to set up, including pegs and the perimeter wire, extra cable and pegs are available if needed. The perimeter wire is actually pegged down on top of the lawn, within a few weeks the grass will have totally grown over this cable and it will not be visible, Robomow will be the only person who can see it! The Robomow is cleverly designed so that it runs over this cable which enables it to get close to lawn edges and flower borders. Once again, it’s very important to spend time setting the perimeter wire up correctly as long term this can save you lots of time. So How Does Robomow Perform? I have actually seen lawns transformed by Robomow due to the fact of regular mowing and mulching that acts like a lawn feed which will also help keep your lawn much greener especially in dry periods. One thing you need to be careful of is leaving obstacles on the lawn, I have seen customers with dogs will call me to say that there Robomow has stopped working only to discover that there is a dogs bone wedged underneath Robomow, it sounds silly, but it’s happened several times too. It is of utmost importance to keep your lawn clear of any obstacles. If Robomow does hit something, it has the technology to back off and go in another direction, if it is something like a dog’s toy or bone it can get caught up in the machine which is not advisable. If you like lawn stripes, I am afraid that this is something that Robomow cannot do, however, it can make your lawn look beautifully manicured. I have actually run a roller lawnmower over a lawn a few times a year which actually will stripe your lawn and leave the stripes in for a few weeks. It’s not a perfect solution but it does work if you really want stripes and I know it’s not quite the goal to use two lawnmowers! Is A Robomow For You? Providing your lawn is not full of obstacles then a Robomow can be a huge benefit to you. Not only in how your lawn looks but also in the amount of time it can save you at the weekend. It’s also quite a talking point when friends and family visit when they see your Robomow cutting the lawn by itself, it’s definitely a head turner. You can see our various Robomow models here and below, you can also find Robomow on ebay here. The Robomow RX12u Robotic Mower is the smallest and cheapest Robomow, priced at £499 this mower is suitable for lawns up 150 m². Here is the slightly larger Robomow RX20u Robotic Mower that covers a lawn area up to 200 m², this Robomow is priced at £599. 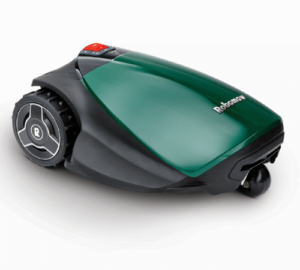 The Robomow RC304u Robotic Mower is designed for lawns up to 500 m² and is priced at £999. 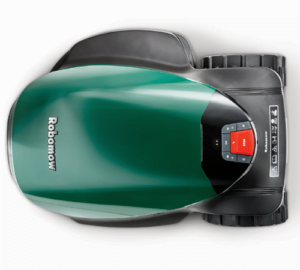 Here is the Robomow RC308 Pro X Robotic mower, this Robomow is designed to cut up to 800 m² of lawn and is priced at £1199. 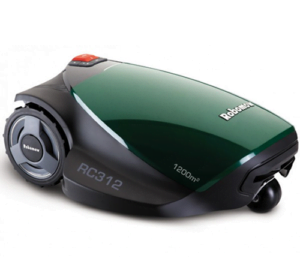 Here is the Robomow RC312 Pro SX Robotic Mower which is designed to cut up to 1200 m² and is priced at £1699. 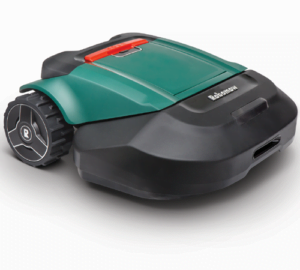 Here we have the Robomow RS625 Pro X Robotic Mower which is designed to cut up to 2600 m² and is priced at £2299. 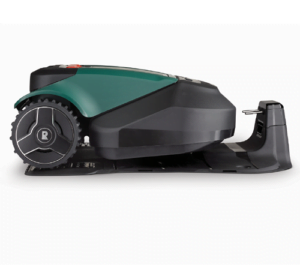 Finally, we have our largest model which is the Robomow RS635 Pro SX Robotic Mower, this Robomow is designed to cut areas of approximately 5000 m² or 1.25 acres, it is priced at £2799. Previous post: This Is Clever Tree Cutting, But A Bit Risky!